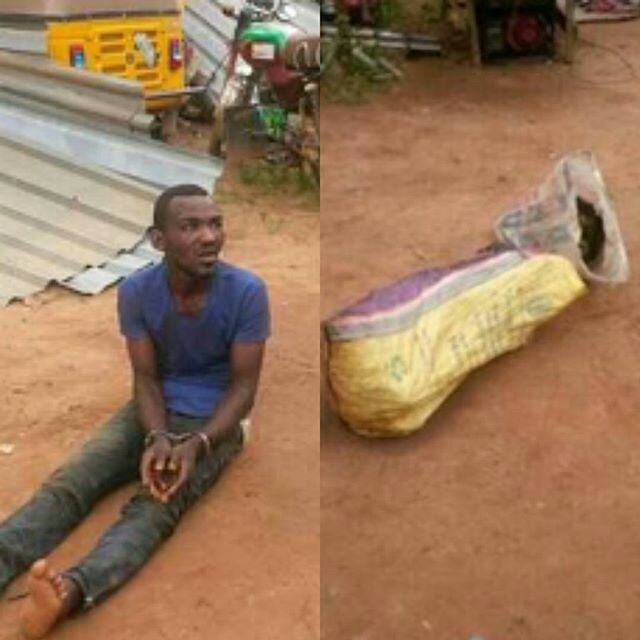 An unidentified man (pictured above) was allegedly caught this afternoon in Ikorodu carrying the head and decapitated body of a school boy in a sack. He was allegedly caught by residents of the community as he was trying to run away. When the sack was searched, the decapitated body and head of the schoolboy was found tied with his school uniform. 0 Comment to "Man caught carrying the head and decapitated body of school boy in ikorodu, Lagos state "